I feel your pain. 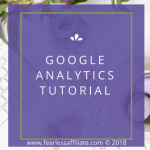 The first time I put an affiliate link into a post, I took it right back out! I took me a few tries to build the confidence to put the link in and leave it in, never mind putting a second and third link in. Egad! What madness is this? But I did it. And I got a sale! It was 8 dollars but wow…I got a sale. And you can too. 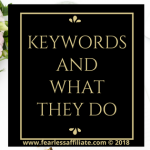 How successful you are as an affiliate comes down to your ability to market, which is a skill that you need to build upon because of its many layers, and your confidence in your website and products. Let’s get started with some strategy. Any business needs a good business plan, as well as the tools of the trade. Keep on top of the latest updates and utilize the best tools of the trade. • Consider a software program that will help you keep track of revenues earned from commission for easy recordkeeping. You can use the spreadsheets available in Google Drive for a free option. *Want to become an affiliate for Ultimate Bundles? Click this link to sign up. Just like any other endeavor, remember to always stay on top of your game. Affiliate marketing can be highly competitive and things do change. Keep on top of your game by reading about affiliate marketing, following the trends, and doing the work necessary to be successful. A great way to do this is to join Facebook groups in your niche. There are always plenty of people reporting on new and interesting changes in the blogging world. This is also an excellent way to find mentors, to network, and to learn about new and helpful software that can help you. One of the more important factors in business is communicating with your customer. If you are new to affiliate marketing, you can get a leg up on that communication by first creating your blog and encouraging comments. Ask individuals that visit your site to please leave a social media comment. You might be surprised by how many more followers you get just by asking people to follow you and by leaving a working link for them to click. This is good practice placing links in your posts. Even better, be a presence on blogs and forums that are similar to yours and get involved in the conversation. Not necessarily to sell anything or even to promote anything, but to get in on the ground floor of what your future potential customers want. Quora is a great place to find like-minded people to network with. And you can add your blog link to your signature. You cannot add affiliate links, but people can visit your blog so you can get traffic. And also what moves them forward to purchasing. Understanding what a consumer wants makes it easier to fill those needs as you move forward with affiliate marketing. 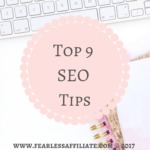 As well, be sure to mention at the beginning of your blog post, that it contains affiliate links. It is part of the FTC regulations that the disclosure be above your affiliate links, so that readers know before they click one. Don’t give up if you do not grasp it all from the beginning. Just as you have learned many other things in life, take your time and do it right when it comes to your affiliate marketing efforts. The more you learn and understand, the easier it will become with time. 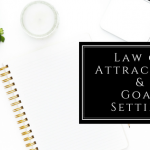 If you are taking this on as a side job or during your nights and weekends, then chances are it will take a bit of time and effort before you are up and running. Have patience and you will see the results of your time, patience, work, and effort. 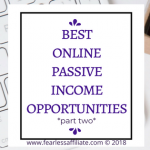 Of course, affiliate marketing has the beauty of allowing you to eventually earn passive income, but also think of it in another way. Think of it as helping others to find solutions to problems or buying products that will provide them with the assistance they are seeking. When you put it in the context of helping people find what they need or want, you take the pressure off yourself and off the idea of selling, selling, selling to make money. This mindset will allow your marketing efforts to flow from authenticity rather than appearing overeager in your efforts. Like an awesome deal at the grocery store or a special price on event tickets, you want to share these deals with your friends. Affiliate marketing can be the same way. Be what you say you are, and do what you say you will, in order to exude optimum integrity. The fanciest of marketing tools and the glitziest of ads won’t convey a message quite as well as having integrity will. Having integrity show up in your content, and even in the design of your site, will allow your visitors to feel trust for you and your efforts. Of course, most people are aware that those ads may or may not make you money, but if we trust you and know that you have integrity from the outset, we will be more inclined to click and then to buy. After all, you sent us there and we trust you. Marketing has many components to it. There is the knowledge and expertise of a product, good or service. There is sometimes the actual usage of that same product or service. However, when it comes to affiliate marketing, there is more. It’s necessary to build relationships first on your website or blog before you consider diving into affiliate marketing. Remember, everyone likes to buy but no one likes to be sold anything. Such a contradiction! Think of it in terms of actually meeting someone in person. They introduce themselves and right away try to sell you something. What’s your reaction? You want to get away from them as soon as possible right? Well, the same concept is applicable to websites. You want to offer a solution to a problem for your visitor. You want to engage them, and you want to be authentic. It is important to create your blog or website and offer a value to the visitors that come there to check out what you have to say and how you have to say it. A visitor comes for something fresh, new and unique. Do you have a unique take on a common subject? Do you offer integrity, vulnerability, and truth? A great way to show integrity is by using the product/service yourself and doing an honest review, ‘warts and all’ as they say. Most affiliate marketers have to start putting money into their own websites over time. Try reviewing something that helps you and your website, like quality hosting or an email service provider. And then provide an awesome review for your readers. For me personally, and this may also be the case for you, I found that the more ‘real’ I am then the more success I have with promotion. My sale came about as a direct result of a blog post that I wrote about something that was really bothering me. And it is still the blog post that brings me the most traffic (after Pinterest). Once you have established your blog or website for some time, then you have gained something almost equal in value to sales – trust. Once you have the trust and respect of your visitors, they may be more inclined to trust the links or ads on your website as well. 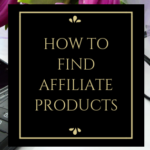 After establishing your reputation for a bit and gaining the trust of your visitors, you can then more easily earn income from your affiliate endeavors. The more a visitor trusts you, the more likely he or she will be to become a consumer. So, make certain to establish relationships before jumping in on the marketing bandwagon. Once you have established relationships, you will see that earning income from affiliate marketing is easier. Moreover, another important element in any business is your mindset. If you believe that you are selling or pushing something on a potential consumer, then that mindset will resonate with them as well. Instead believe that you are offering a service to those looking for products or seeking to find the answer to a problem through purchasing a product or service. Doing so creates a win/win situation for all! If you run into an affiliate marketing program that asks you for an unreasonable amount of money, or any money for that matter, then buyer beware. Affiliate marketing should not cost you anything. You will earn your commission when a sale is made. It’s pretty straightforward and simple. If you run into something that sounds too good to be true, remember that it probably is. If you run into a program that promises overnight riches, every red flag and warning siren should go off in your head, as affiliate marketing is not a get rich quick scheme. Just like any other business on the Internet, it is a business and should be run like one. If you have enjoyed this post, please share it with anyone that you think can benefit from it. Sharing is caring! 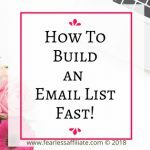 And sign up for my weekly newsletter of tips and free stuff for bloggers. Until next time, happy blogging and follow me on Pinterest! (see what I did there?). 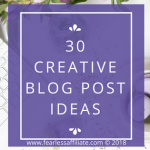 I also have a Pinterest group board for anyone who blogs about blogging. I’m so glad I found your website. You have a wealth of information here for anyone interested in affiliate marketing. This is like a dream come true for newbies. I couldn’t bookmark your site fast enough. Thanks for sharing so much of your knowledge and wisdom. I’ll be back often to read more of it. Wow David, you made my day with your awesome comment 🙂 Thank you for visiting us today. I am always happy to help and you can message me anytime. Great article, loved reading this Irma. I’m still at the beginning of my affiliate marketing journey and all info is so helpful. Also being reminded that it does take time and dedication and how important it is to build relationships, authority and trust. It keeps it real and grounded. Thank you! Very encouraging. It really does help to have the right tools. By putting in the hard work, it will pay off in the end with affiliate marketing. Its good that you mention a very important point and that is to come across in an honest way. Not just trying to bombard visitors to your website, with always selling something to them. Giving value to the visitor by answering their question or directing them to a product they may need, is a good way at looking at it. I started using Quora not that long ago and it does help in getting traffic to your site. You have done a great descriptive article, good job. Thank you Eden and thank you for visiting today! Very interesting article! People definitely need to be aware of the promise of overnight riches! How long have you been doing affiliate marketing for?! I have been doing the affiliate marketing for about a year and a half now. It is one of my passive income streams. This information is incredible! I didn’t know a lot of this information. 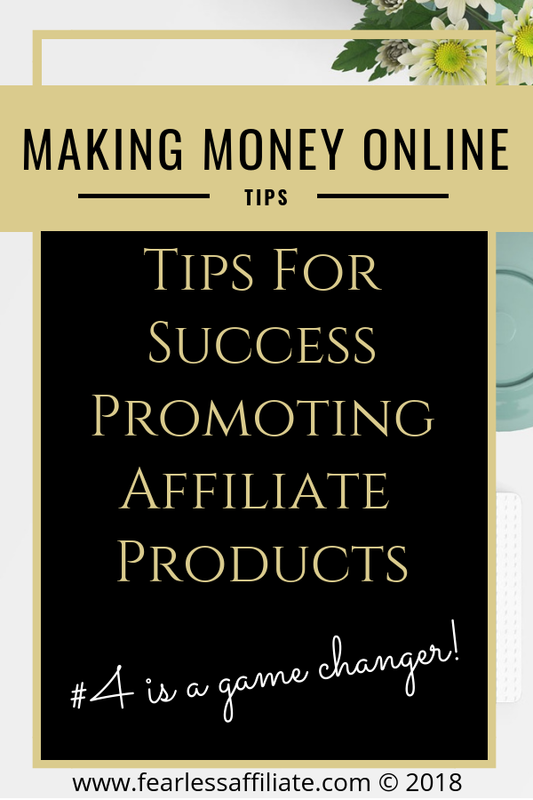 Thank you for your tips on promoting affiliates. They are well thought out and will be a valuable resource as I build my business into the future. I will bookmark your site for future reference. These are great times for affiliate marketing. The one I like the best is integrity. I’ve been in the business world for a while, and integrity stands within business circles. That recommendation should transcend no matter what you do in life, and our online businesses are no different. Thanks for the great list. Thank you for visiting JB! Excellent article. I am just getting started building a blog, I want to do it the right way and I am trying not to feel overwhelmed. I am really enjoying writing content. I like what you wrote about focusing on offering people a service or fulfilling a need rather than making money, money, money. Of course I want my business to be lucrative but I never, ever want to feel like I’m taking advantage of people. Yes, it is a fine line but totally worth doing right the first time. Best of luck! Hello Fred and welcome back! I found this post very helpful. 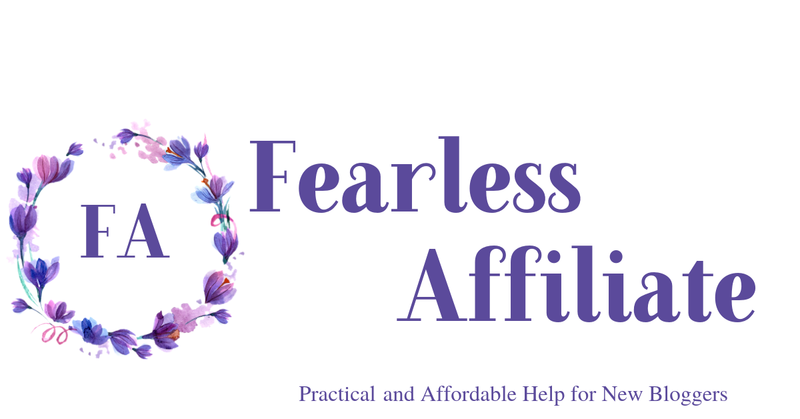 I am just getting into affiliate marketing and finding the confidence to add those links. It can be very over whelming, but your post helped break it down a little. I am so glad that you found it helpful Clare and thank you for visiting us today! Great post!! You are so right about building trust with your readers. These are relationships like anything other in life. Once you’ve gained trust, you have a friend. And these friends will most likely consider your recommendations. I totally agree! Giving a lot of value before throwing out the links; that was something that I did not really ‘get’ for quite a while. Promoting also intimidated me, but after I tried a product that I just loved, it became easier to share. Sure helpful advice, loved this post. I really think consistency is key and just staying on top or your game like you said. That’s what you need to generate consistent traffic which will hopefully drive sales. Thanks for sharing! Keeping on top of your game is super important, isn’t it? 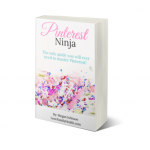 I was at a standstill until I bought the Pinterest Ninja course, and that got the ball rolling in all sorts of ways and I am glad that it did. That really upped my game! Hi Irma, I am also an affiliate marketer and the overview that you provided here is extremely valuable for anyone wanting to get going in this industry. I always asked the question “how can I duplicate myself” and now i know! Some great information here. 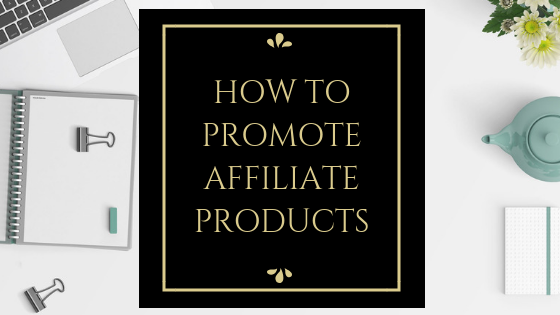 Thank you for all these tips on how to promote affiliate products. My biggest hurdle so far has been finding ways to get traffic to come to my site ready to make a purchase. I am sure it is just a matter of time until I begin to rank high enough with search engines that people can find me. If you do not have email marketing set up, then I would suggest starting there. 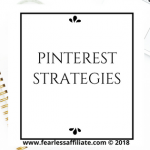 As well, look into Pinterest for business as another awesome way to get free organic search traffic.